If you have little ones, you’ll know that they are forever exploring and discovering – you really do need eyes in the back of your head, right? 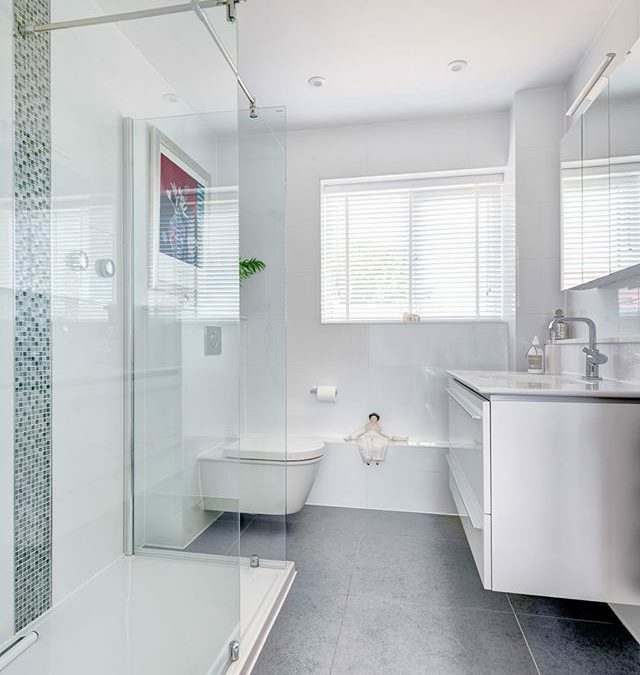 And because your bathroom is one of the busiest and most used spaces in your home, it’s important that it is inviting, functional, organised and most importantly, child friendly! After all, with some many potential hazards, it’s certainly worthwhile investing in child friendly features that offer peace of mind, safety and comfort, allowing your little ones to enjoy bath time with minimum risk. We’ve created a helpful guide outlining some of the ways that you can make your bathroom child friendly. With so many lotions, potions and medicines populating your bathroom, it’s important that they are kept out of reach from inquisitive little minds! There are lots of innovative, space saving storage solutions with concealed open shelving that are great for keeping your bathroom safe, tidy and clutter free. Wall cabinets and units are particularly popular amongst homeowners looking to optimise child friendly safety. This is because off the floor storage solutions will stop your favourite little people from reaching items that could cause them harm. Although your little ones will love slipping and sliding on wet surfaces, it can be super dangerous. Non-slip tiles are a great solution if you’re looking to optimise the safety of your bathroom. Practical and aesthetically pleasing, there are a whole host of eye-catching tiles that are compatible for a variety of wet surfaces and spaces. One of the biggest risks to children in the bathroom is coming into contact with boiling hot water. To prevent your little ones from getting burnt, all of the fixtures and fittings in your bathroom space should have thermostatic features, in order to regulate the water temperature. Installing high performance mixer taps can also help to prevent children from hurting themselves. From a young age, many parents encourage their little ones to complete everyday tasks such as cleaning their teeth on their own. However, standing on their tip toes in order to reach the sink can be a little uncomfortable, not to mention dangerous if they end up climbing on your other fittings in order to reach what they need. Instead, why not introduce a step stool into your bathroom space? This will allow your little ones to reach what they need without having to over-stretch, or climb up onto unsafe surfaces.